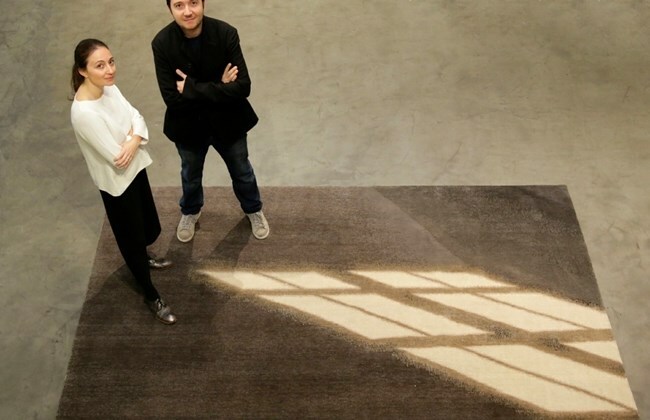 The "Light" Carpet designed by Maria Group for the "One Carpet For Love" Collection which was initiated by Iwan Maktabi. Iwan Maktabi is the leading high end rug retailer in the region. Through this initiative, they called on various Lebanese designers to collaborate with them in "weaving various threads of society into carpet designs that showcase the rich tapestry of life in Lebanon".